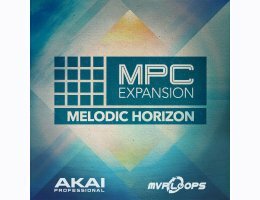 Akai Pro & MVP Loops proudly present Melodic Horizon, an expansion pack for your MPC. Melodic Horizon brings the warm pads, luxurious vibes and emotive melodies heard on Contemporary R&B & hip-hop chart toppers to your MPC. As versatile as the genres represented, this pack features 15 radio-ready kits with over 670 samples, including nearly 550 expertly-crafted melodic loops. Download a demo kit for trial here.